Wonder at Ancient Athens on a Context day tour. 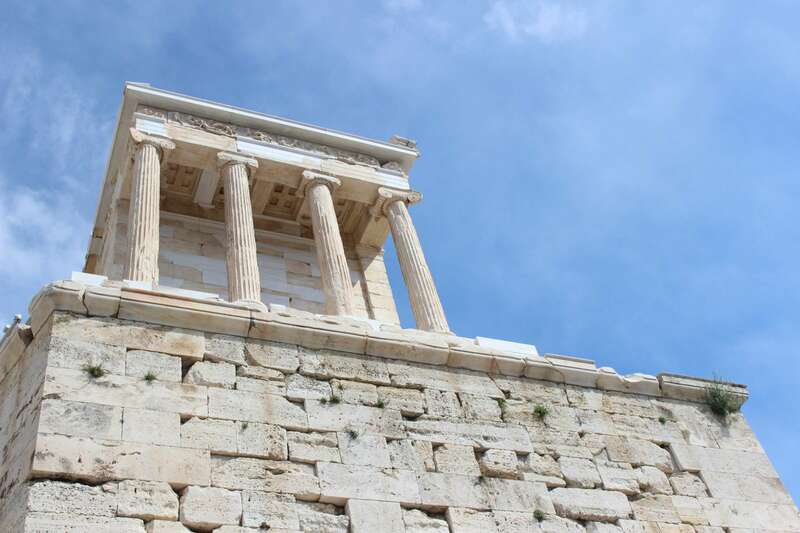 We’ve craftily combined some of Athens’s celebrated sites in a succinct 7-hour itinerary. 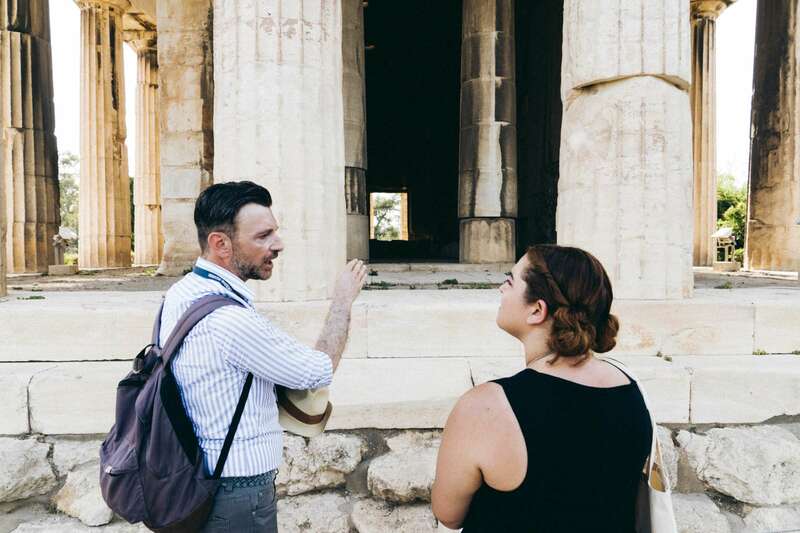 In the company of a local expert, we’ll tour the Acropolis and its museum in the morning before exploring Plaka, Monastiraki and the Ancient Agora, and other sites relevant to Athens' historical fabric. 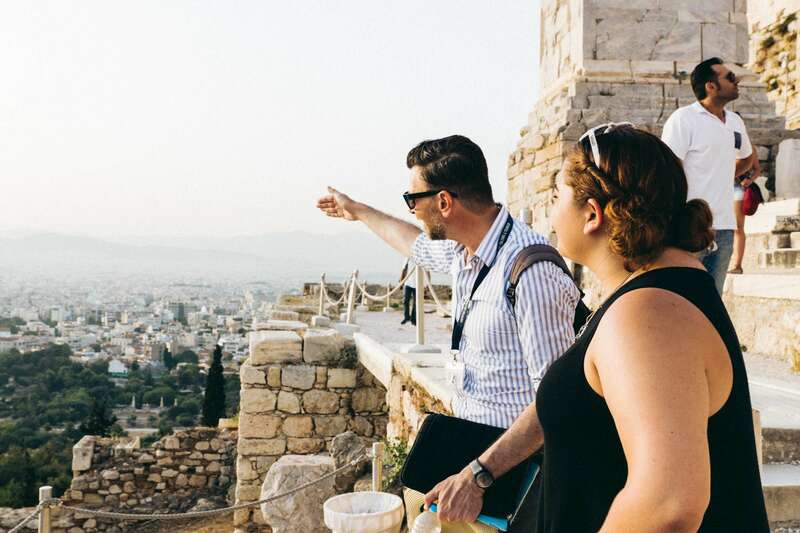 This is a comprehensive introduction into Athens' archaeology, history, and culture in a full-day tour. 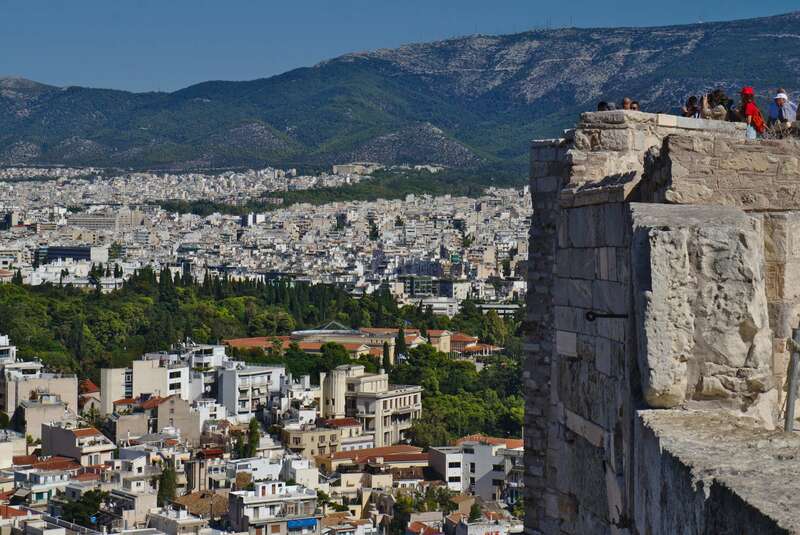 We’ll meet together at the Acropolis, with wonderful views over the city below. 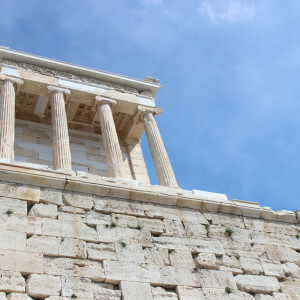 Our morning tour will cover the main buildings on the Acropolis, such as the Parthenon, the Temple of Athena Nike, the Propylaea, and the Erechtheion. 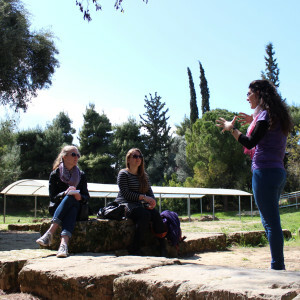 We’ll gain background into ancient Greek history through its archaeology and the explanations of our local expert. 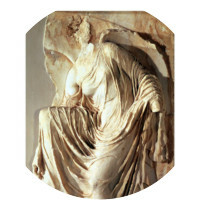 We’ll visit the Athens Acropolis Museum, discussing some of its ancient treasures together. We’ll leave the museum behind and walk through the narrow streets of Plaka, a picturesque neighborhood. We may stop here for a local lunch (at own expense) and use this time to talk about local gastronomy or Greek traditions, among other topics. 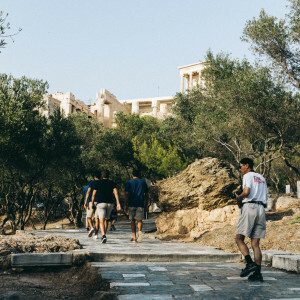 We will continue our route to Monastiraki, the neighborhood home to the Ancient Agora. 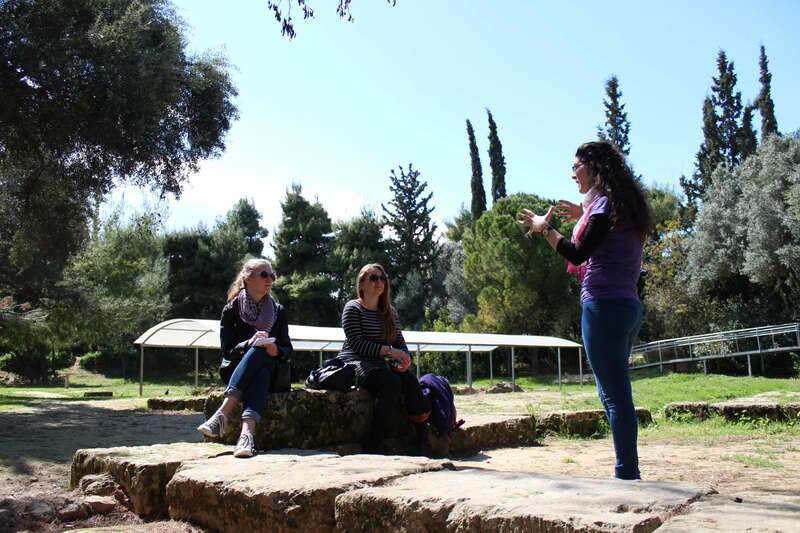 We will spend some time here, using the ruins to explore and understand what daily life was like for Athenians in the ancient city. If time allows, we might stroll through Varvakios Market, where we will see a hub of activity, ‘smell’ Athens, and have a chance to buy some tasty treats. 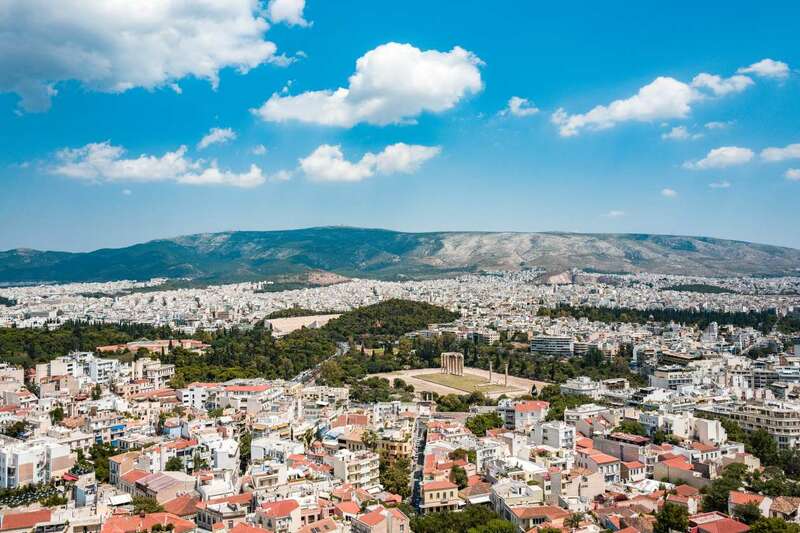 We will finish our day tour with a greater understanding of this mesmerizing Greek capital. We’ll have ventured from ancient ruins to buzzing centers to colorful markets. 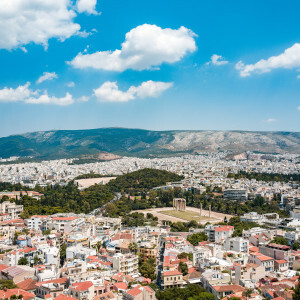 We’ll leave one another with a more contextualized approach to the archaeology, history, and geography of Athens. What happens if it's raining? Our tours happen rain or shine. Our guides are great at adapting their route during changes of weather. Please bring an umbrella. I would like to start at a different time. Is this possible? We begin early to avoid more crowded times and hot weather at the Acropolis. For this reason, we advise an early start time. What is included? Will there be any costs to cover on the day? Your entrance fees and a local snack/refreshment is included. You will be expected to cover the cost of your lunch and any additional refreshments. 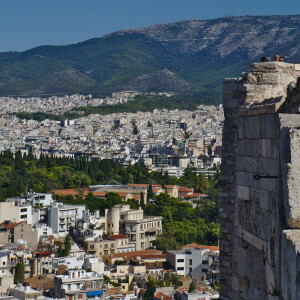 What is the Acropolis Combined ticket and how does it work? 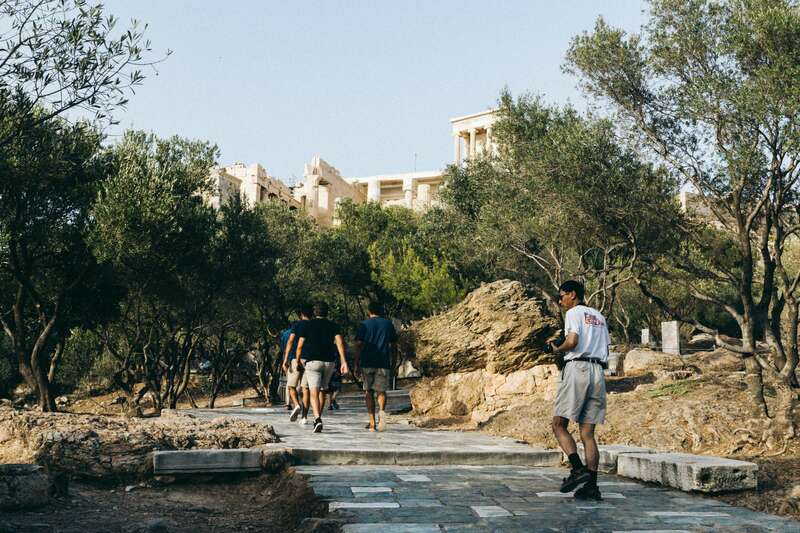 The Acropolis combined tickets are valid for admission to Acropolis and Slopes, Ancient Agora, Hadrian's Library, Kerameikos, Aristotle's Library [Lykeion], Olympieion, Roman Agora, and can be used for 5 days after the first entrance. This may depend on your guide, but we usually end in the Monastiraki neighborhood. Can I request a car service? We find this tour best suited on foot as much of the areas are pedestrianized. If you require a car service for mobility reasons, please let us know in your clients notes and we can arrange it for you. We are coming from the cruise terminal. Can we arrange a pick up service? Yes. Please see our alternative shore excursion product here. Kelly holds an MA in modern letters from the Sorbonne in Paris, and a certificate in archaeology from the National School in Athens. She has extensive experience leading individuals and groups through the monuments of her hometown. In addition to her years of experience on site in Athens, Kelly has also undergone training in interpretation and museum education at both the Metropolitan Museum of Art and MoMA in New York City, and in cultural heritage management at the University of Paris IX. 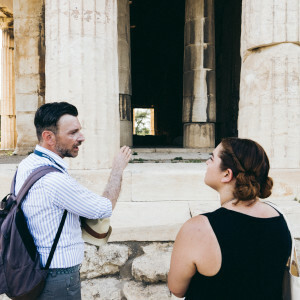 A gifted teacher, Kelly has guided a wide range of visitors in Athens, from members of the International Olympic Committee to heads of state and diplomats. Vassilios is a historian who has taught for several years in local Athens schools. 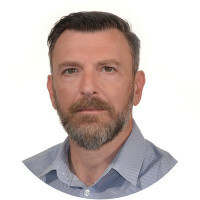 He earned his undergraduate degree in archaeology from the University of Athens, and has conducted specialized research in the history of the Orthodox Church, Byzantine studies, and modern Greek history. Vassilios is a gifted teacher with extensive on-site experience with adults, children, and families. Yiouli was born in Athens and lives in the city with her family. 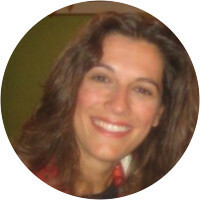 She studied history and archaeology at the University of Athens, and became a licensed guide for the city in 2005.